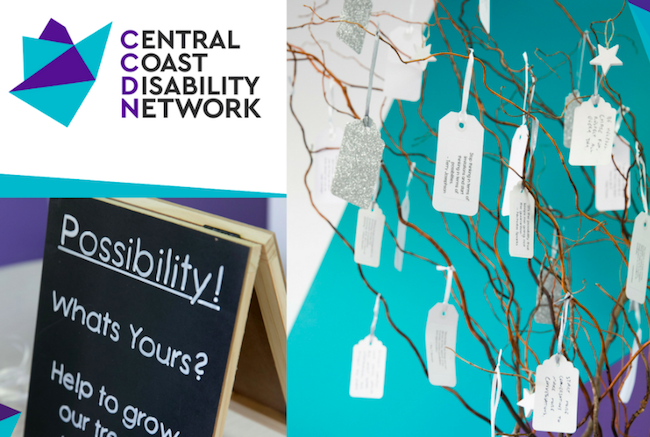 Central Coast Disability Network image. Central Coast Disability Network (CCDN), will launch a new disability advocacy program, Community before Corrections, to support people with cognitive impairment who are at risk of a custodial sentence in Wyong and Gosford. The program will be funded thanks to a grant awarded by the Federal Government under the Information, Linkages and Capacity Building (ILC) component of the National Disability Insurance Scheme (NDIS). Ms Jenny MacKellin, Chief Executive Officer of Central Coast Disability Network, said that this support will help CCDN to equip people with a disability with the skills and confidence needed to participate in and contribute to the community, as well as protect their rights when dealing with the criminal justice system. “People with cognitive impairment are overrepresented in our criminal justice system and are three to nine times more likely to be imprisoned than the general population,” said Ms MacKellin. “The Community before Corrections program will utilise the skill of specialist advocacy trainers and mentors to help participants to develop a capacity for self-advocacy and decision-making, with the ultimate aim of reducing offending behaviour and increasing community participation,” she added. The program will also provide an opportunity for people with a disability to have an active voice that will guide the development and implementation of the project through their inclusion on the project’s Steering Committee, which will include people with a disability in its membership. “This program will address the barriers that people with a disability face in local courts as defendants, witnesses or victims, and provide meaningful support to help individuals understand, identify and communicate their needs to others,” Ms MacKellin concluded. Federal Member for Robertson, Ms Lucy Wicks, said the project will increase the independence and community participation of all people with disability. “The almost $1.4m in funding from the Federal Government going towards the ‘Community before Corrections’ program builds on the amazing work around self-advocacy that Central Coast Disability Network already provides for families in our region,” Ms Wicks said. “I have seen first-hand the difference that programs like this can make to the lives of people with cognitive disabilities to find jobs, create meaningful social connections and feel a part of the wider community. “It’s critical that our community changes as we implement the NDIS to ensure it fulfils its promise to empower Australians with a disability with more choice and control, while also building their capacity to participate in community life, education and work,” Ms Wicks said.